Welcome to the home of the Augustinian Missions. Learn about our Missions and check back for updated newsletters. Along with our efforts in the United States, the Augustinians serve the poor, needy, and marginalized with missions in Japan and Peru. Starting in the 1950s, the Augustinians have served a combined 111 years in these locations across the globe. The story of the Augustinian Mission in Japan is one that spans centuries. In 1602, Augustinian Friars from the Philippines arrived in Japan. They built the Church of the Holy Spirit in Nagasaki and more churches thereafter. Sadly, however, missionaries and their converts soon came under severe persecution and martyrdom, leading to the suppression of Catholicism, kept alive only through an underground movement in Nagasaki. In 1952, 350 years after their first arrival in Japan, the Augustinians were invited by the Diocese of Nagasaki to return to Japan. Three Augustinians - Father George Krupa, O.S.A., Father Tom Purcell, O.S.A., and Father Edward Robinson, O.S.A. - accepted the invitation. The mission has continued to grow since it set roots in Nagasaki. Today, Augustinians minister in four cities throughout Japan: Nagasaki, Fukuoka, Nagoya and Tokyo. Though the Catholic population in Japan is small, the friars minister to a growing community of faith. In 1952, the Augustinians established Shiroyama Catholic Church, located just 800 meters from the epicenter of the atom bomb explosion. The founding of Saint Mary's School, the first parochial school in all of Japan, soon followed. Missions in japan expanded, with Sasaoka Church, Fokuoka (founded 1961); Minato Church, Nagoya, where the friars are involved in the “ministry of the sea,” called Stella Maris; and Kasai Church in Tokyo ( founded 1964), a metropolitan parish. In addition, the Augustinian Formation House, is also located in Tokyo, where young Japanese men prepare for ministry as an Augustinian priest or brother. Augustinian Friars from the Province of Our Mother of Good Counsel (Midwest) in the United States began missionary work in Peru in 1964. In 1968 friars from the Province of Saint Thomas of Villanova (East Coast) opened a parish in Chulucanas, called San José Obrero. In 1986 the region became the Vicariate of Chulucanas under the auspices of the Midwest Province. Today the Augustinians serve in the northern desert cities of Chulucanas and Morropón, plus the Andean mountain town of Pacaipampa. Along the Pacific coastline, we have a novitiate house in Lima and a house of the professed in Trujillo. The Augustinian ministry recently expanded to include a parish and school in Pacasmayo. Bishop Daniel Turley, O.S.A., is the bishop of Chulucanas. The vicariate is presently served by eight friars from the United States along with 19 solemnly professed Peruvian Augustinians. There are also 25 Peruvians in the Vicariate of Chulucanas preparing for religious life and priesthood, joined by another 25 Peruvians from other vicariates in Peru. 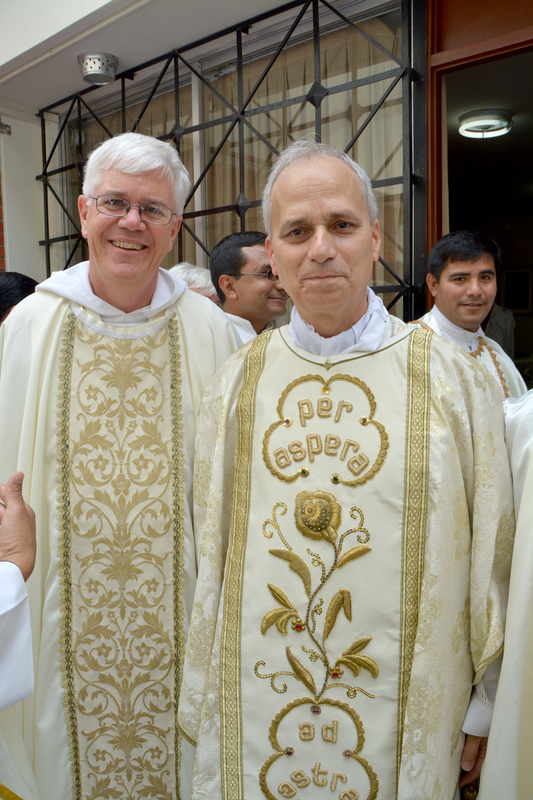 Recently, Pope Francis appointed Robert Prevost, O.S.A., as Bishop of a neighboring area, Chiclayo. Fr. Prevost had been a missionary to Peru before serving as Prior General in Rome (2001 -2013). 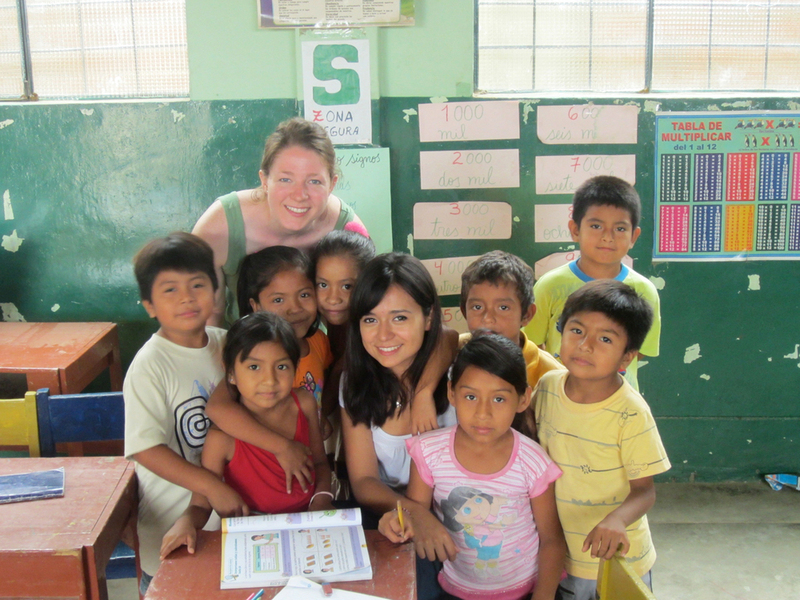 In 2002, the Augustinian Volunteers began sending lay volunteers to the Mission site in Chulucanas, Peru. The volunteers live in community together and serve in a variety of ministries, including work at a Catholic school, teaching English, running health programs and justice and peace programs.